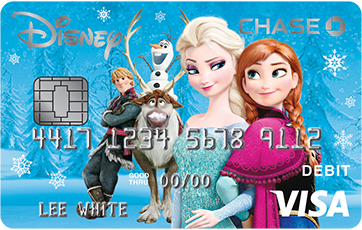 Call 1-877-388-5726 or visit your local Chase branch for more information. 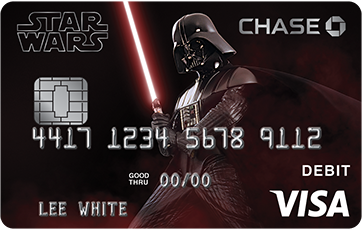 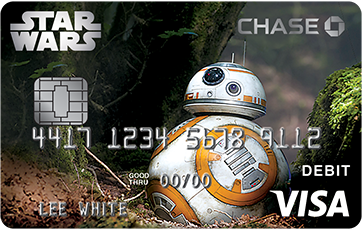 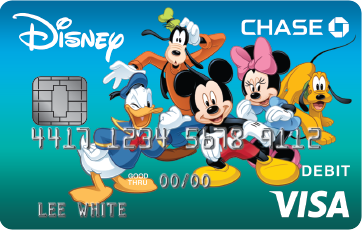 Get a Disney® Visa® Debit Card with a Chase checking account. 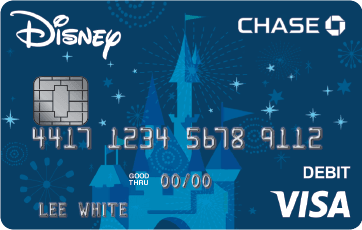 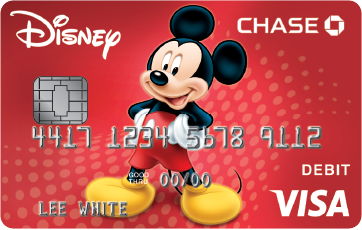 By using your Disney Visa Debit Card or authorizing its use, you agree that Chase may share information about you and your Disney Visa Debit Card account, including your card transactions, with Disney Credit Card Services, Inc., and each of its affiliates for their respective use thereof as permitted by applicable law.